The American groove metal band DevilDriver have decided to stir things up in the metal scene by releasing an album of outlaw country cover songs. So if you want to hear Dez Farara’s take on Johnny Cash or Stan Jones’ classic ‘Ghost Riders in The Sky’ you’re in for treat. It’s very rare that I go to a concert where I’m actually more interested in the opening act than the actual headliner. American thrashers Testament were the headlining act but for me it was all about Vader. I’ve been a fan of their music since my early teens and the last time I saw them live was at Hellfest in France back in 2009. 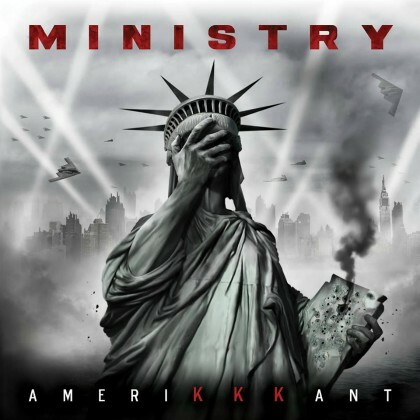 Ministry doesn’t need much of an introduction. They have been a part of the industrial metal scene since the early ‘80s and they have gone through several changes over the years. They even split up a few times only to re-unite again a few years later. Now Uncle Al and his motley crew are back with another politically themed album – ‘AmeriKKKant’. The first track I Know Words is essentially just ambient noise with some distorted samples from speeches by Donald Trump. It sets the scene well enough but other than that it doesn’t really offer much. I was actually tempted to skip it after the first few seconds. Luckily the one that follows it, Twilight Zone is a much better song, possibly the closest Ministry has come to recreating their old “classic” sound from the ‘The Mind Is A Terrible Thing To Taste’ and ‘Psalm 69’ -eras. The harmonica works a treat as do the gritty, eerie-sounding rhythmic guitars. This is the Ministry that I was hoping to hear! In summary, ‘AmeriKKKant’ is a creepy album which leaves the listener with a sense of dread, some confusion and anger. I guess that must be how a lot of Americans feel at the moment… Sadly with only a handful of memorable songs, it’s hardly a Ministry masterpiece. It’s not bad but they can do so much better. The two missing names in the Laurus Nobilis Music 2018 bill have been revealed: Atreides and The Godiva. The former hails from Northern Spain and the latter from Famalicão, hometown of the festival itself. Metal DJs will entertain the crowd every night for about an hour, after the last band leaves the stage. London’s prime classic rock event Stone Free Festival is now in its third year. This time it will take place on Saturday 16th June – Sunday 17th June 2018 at The O2 in London, The UK. 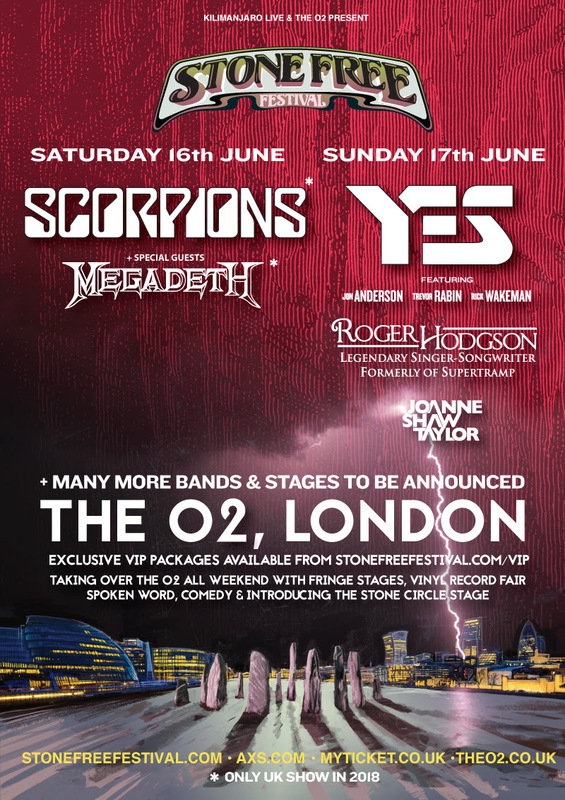 This year the headliners will include Scorpions, Megadeth (exclusive UK shows) along with YES and former Supertramp frontman Roger Hodgson. In addition to the main performances the festival will also have a range of other unique attractions such as the Speak Easy Lounge, an acoustic beer garden and a vinyl record fair.